It is easy to imagine life in Miami. 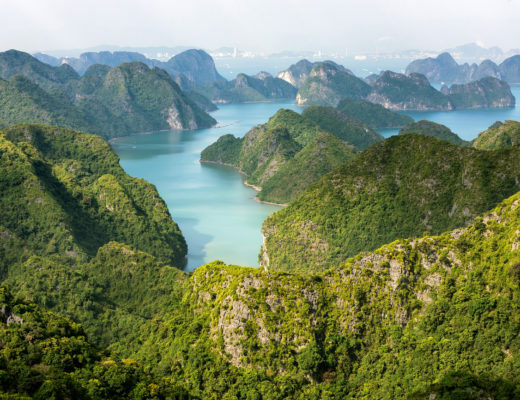 The sparkling white-sand beaches, the stunning natural grounds, the tropical surroundings and the ease the city breathes. Also, there are multiple attractions, elite restaurants, signature shopping and a cosmopolitan ambience. Top all that off with the recent boom of luxury condominiums available in the real estate market and you have all the ingredients for a privileged, sophisticated lifestyle. Each with a distinctive feature, luxury condos are taking upscale living to a whole new level; high-end features and fixtures, breathtaking views, resort style amenities and white-glove services make you feel as if you were staying on a 5-star resort, only that in this case, you own it. If you are all about space and comfort Murano Grande is the ideal place for you. Located in the vibrant South of Fifth district of Miami Beach, this exceptional condominium delivers an elegant, modern and comfortable lifestyle with its expansive units featuring from 400 square feet to some well over 5000 square feet, the largest in the area. The residences count a Grande Dining room with adjacent oversized sunrise/sunset terraces, elegant, smooth ceilings that rise to 9 feet; and impressive views of the bay and the Atlantic. 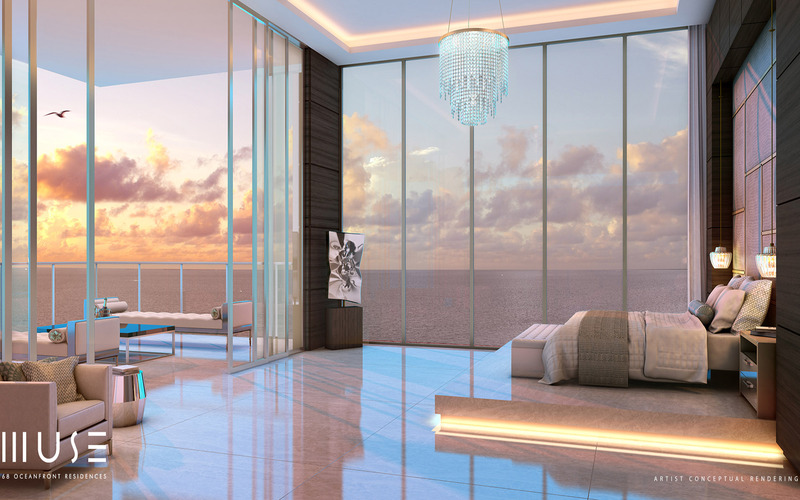 Muse Residences is a high-end luxury boutique building in the heart of Sunny Isles on the striking coastline of South Florida. The striking building is lying between the Intracoastal waterways and the Atlantic Ocean, so it offers you days of sun on white-sand beaches, spectacular sunsets and incredible panoramic ocean and Intracoastal views. 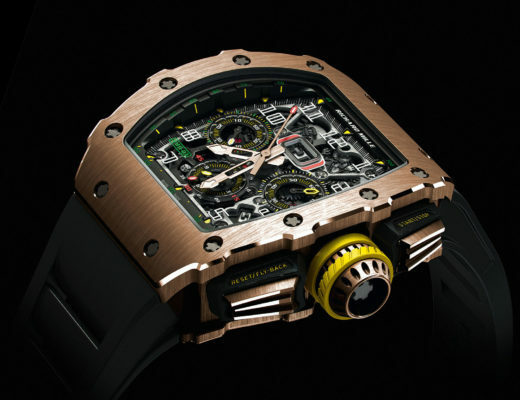 This is combined with the utmost state-of-the-art technologies including intelligent shade system, biometric technology, and intelligent parking, among others. The award winning Icon South Beach provides its residents with an array of amenities and services that recreate paradise living. The building is set right over beautiful Biscayne Bay and it includes amenities such as a Starck-designed lobby with dramatically high ceilings, sleek finishes and ample free space, two amazing pools where you can soak up the sun and relax, an elegant café with soaring 24-feet ceilings, a fully-equipped fitness center and spa, and services like round-the-clock security and receptionists, concierge services, and valet parking. Designed by two of Miami’s biggest names in Development and Architecture, Ugo Colombo and Luis Revuelta, Bristol Brickell is one of the most luxurious buildings in Brickell. 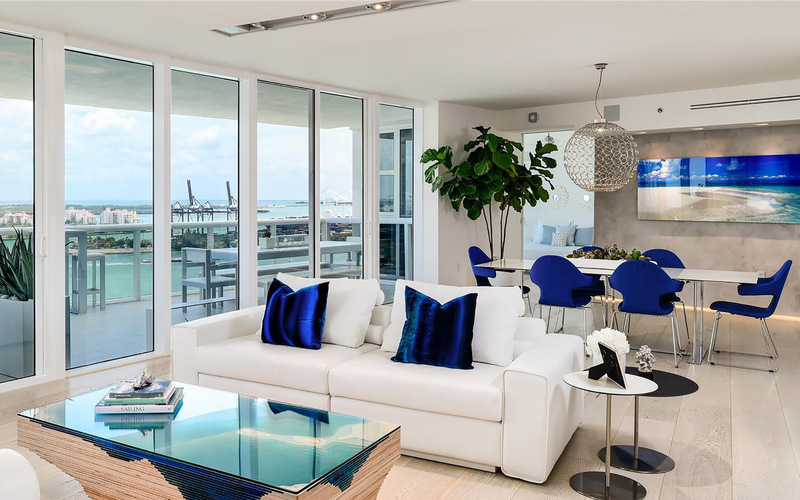 The tower soars 40 stories above the blue waters of Biscayne Bay and is surrounded by lush landscaping and an ideal bay front access. 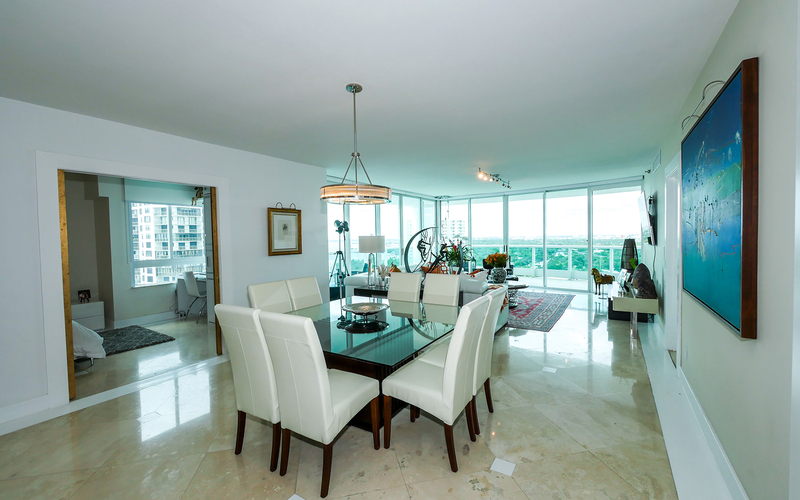 Expect to find residential features like designers’ kitchens, large balconies, private elevators leading to private foyers and the exquisite panoramic views Brickell is known for. 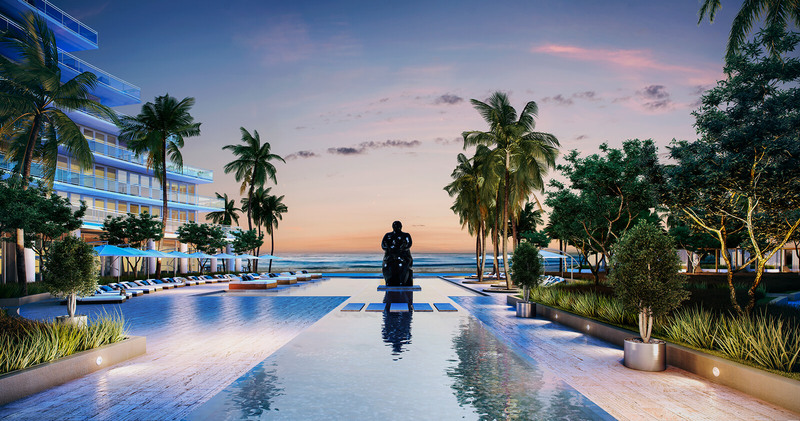 Auberge Beach Residences and Spa is an ultra-luxury new construction project on 4.6 acres with 450 feet of Fort Lauderdale oceanfront. Apart from the obvious impressive oceanfront frontage and expansive terraces with ocean views, one of the prime features in the building is the upgraded spa services it offers. The World-class spa by Auberge delivers all-natural beauty and relaxation treatments inspired by the local environment within a tranquil and soothing atmosphere. 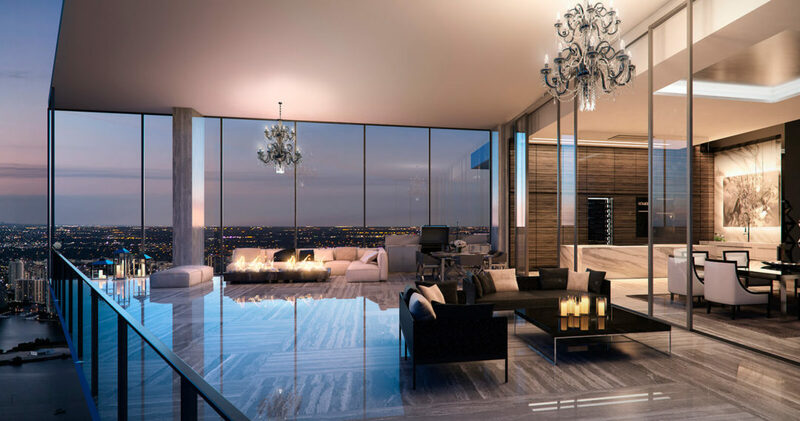 Miami can brag to have it all and so will you, as soon as you decide to become a privileged luxury condo owner.